Amidaji construction news 2016 - Two new stoves arrived at Amidaji! 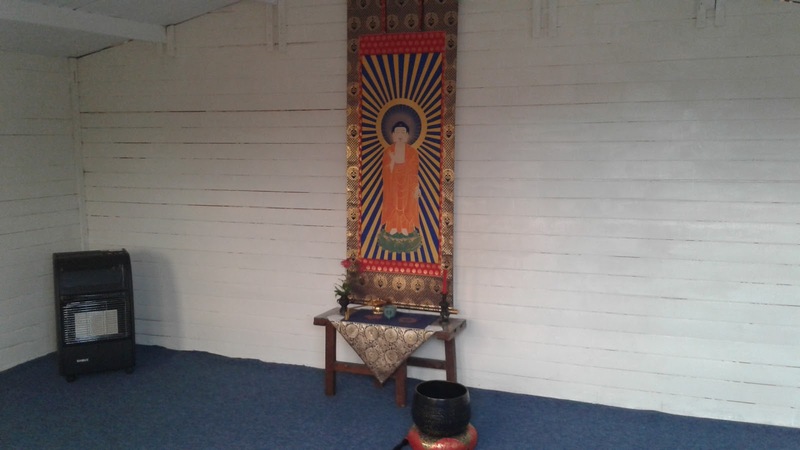 1) one stove on gas was placed in the Hondo (Dharma Hall). It will be used only when I held services and Dharma talks. Also, when when I have visitors who stay for a few days, I sleep in the Hondo and they sleep in the library. 2) one stove on wood was placed in the library. It will be used more often as I also sleep and write here when I come to the temple. 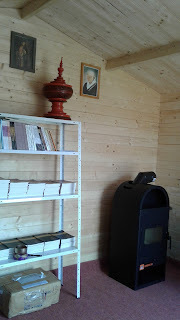 Also if I have visitors who stay for a few days, they receive accomodation in the library. In a week or so, a specialist will come to make an isolated hole in a wall of the library and install the funnels to the stove. As I desperately needed funds for some taxes, I could not buy the exact type of stoves I intended when I made the announcement for fund raising, but these two will serve well to their purpose. Now I need to buy some wood and gas bottle for the stoves, as the cold season is quickly approaching. Also, if I can raise more funds I intend to continue with other expanses and necessities of the temple, like for example, building a bath house for the winter, or building the main gate, or just buy some new trees for Amidaji courtyard, etc. If you can afford to, please help me and help Amidaji. Any little donation is useful and is gratefully received. As you can see, your contribution is always put to good use. The link for DONATION is here, or you can find the DONATION BOX in the left column of this website. The names of all donors, no matter how small there donation, and the names of the departed in whose name a donation was made, are respectfully kept in the archive of Amidaji.